Back massage-triple massage. The ideal place to get a massage...in the comfort of your hotel room. 3.Triple back massage Soothe your back. The triple massage focuses on massaging your neck, upper back and follows down your spine to your lower waist. This back massage can help relieve lower back pain and also free the pressure that has been accumulated behind the neck and shoulders. After strenuous activity, your back muscles are likely to be tense from overuse. On the otherhand sitting in the same position for a long time with bad posture can also put strain on your back and neck. One of the most common and beneficial parts of the body for massage is the back, since the nerves run through the spine. 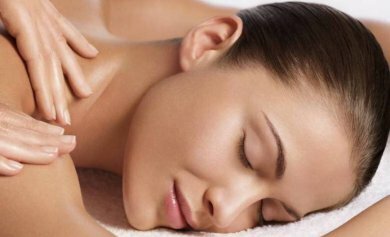 A triple back massage will release a great deal of tension and soothe.